This sermon, from July 2013, is an examination of charity. Except for one post I’ve scheduled for September 27, It’s the last of my older sermons that I’m planning to upload to Mel’s Mouth. As most of you know, we lighten the sermon-writing load on our ministers over the summer. The Worship Committee selects a subject and a sort of template to help lay members prepare and present a sermon without a lot of stress. This year the committee selected the subject of the seven deadly sins and the seven heavenly virtues, and at a Worship Committee meeting I took “charity” as the subject I wanted to explore. Did I mention that these summer sermons are supposed to be easy and not time-consuming? The subject proved to be a lot deeper and more complex than I had anticipated. Of the 40 or 50 sermons I’ve written over the last 20 years or so, this one has taught me, and expanded my thinking, the most. I hope it does some of that for you. I chose charity because I have a lot of trouble with that word, or maybe it’s the concept itself that I have trouble with. First, it seems to entrench the idea of an imbalance of status and power. The giver gets to choose the nature and the size of the gift, and generally the recipient has no say in determining what sort of contribution would most help him or her. And second, the giver gets considerable satisfaction, and sometimes recognition, in return. So who benefits most from the act we call charity? And what does that mean – morally and spiritually? Two stories will help me illustrate what makes me uncomfortable with the idea of charity. The first is from Leslie Wright. When she was a young struggling single mother, she got arm-twisted into attending a Bible class, and a passage about giving came up. A well-dressed, middle-class, middle-aged woman said she had become more cautious about giving after a recent experience. She gave some money to a single mother, who used the money to take her children to an amusement park. Once bitten, twice shy. She’d never do that again. Meanwhile, Leslie’s thinking how she’d like to be able to take her children to an amusement park. “I could only think that I might do the same thing as that other single parent. Use the money for something special my children might never have otherwise,” Leslie said. And she added that the well-dressed woman’s children had probably gotten to go to amusement parks as normal part of their growing up. So who benefited most from the middle-aged woman’s act that she’d certainly describe as charity – the family that went to the amusement park, or the woman who got to feel smug and superior and just too generous for words….that is, at least until Leslie spoke up for herself in the Bible class. Pallotta says that our belief system keeps the nonprofit sector tiny. We have a visceral reaction against the idea of people making a lot of money fighting poverty. The amazing thing is we don’t have a visceral reaction against people making a lot of money not fighting poverty. We have no problem, according to Pallotta, with someone making $3 million creating and distributing violent video games, but we have a big problem with someone wanting to make $500,000 fighting malaria in the third world. He says we force bright people to make a choice between doing what’s right for them and their families and doing what’s right for the rest of the world. So, again thanks to Pallotta, let’s consider two Stanford University MBAs. According to a Business Week survey, the median compensation 10 years out for Stanford MBAs heading a company in the private sector is $400,000, including bonus. For Stanford MBAs heading a hunger charity, the median compensation 10 years out is $84.000. Pallotta points out that the grad making $400,000 can donate $100,000 a year to his classmate’s hunger charity. He gets a roughly $50,000 tax break and still comes out $266,000 ahead of his classmate. Then, to boot, he’ll be called a philanthropist, will be appointed to the board of the hunger charity, will end up supervising his classmate and having a lifetime of recognition and praise. So, once again, who benefits the most from the MBAs charitable giving? In a series of experiments, we’ve found that asking people to spend money on others — from giving to charity to buying gifts for friends and family — reliably makes them happier than spending that same money on themselves. And our research shows that even in very poor countries like India and Uganda — where many people are struggling to meet their basic needs — individuals who reflected on giving to others were happier than those who reflected on spending on themselves. What’s more, spending even a few dollars on someone else can trigger a boost in happiness. In one study, we found that asking people to spend as little as $5 on someone else over the course of a day made them happier at the end of that day than people who spent the $5 on themselves. 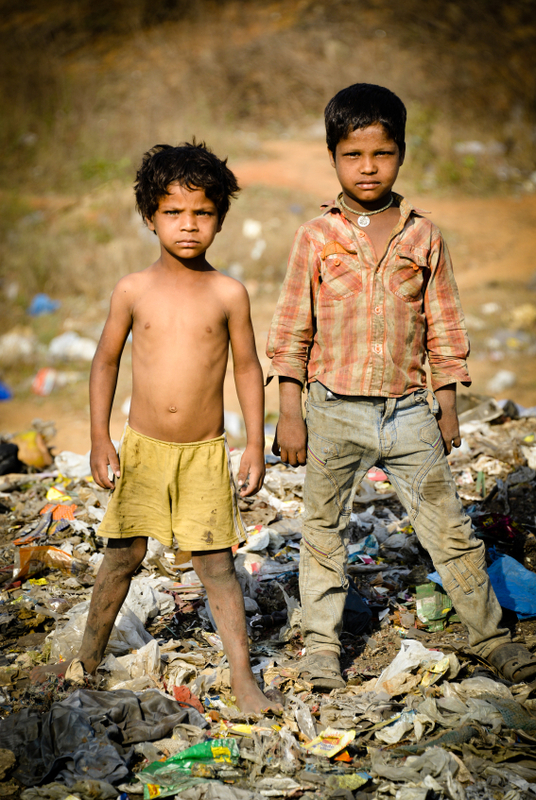 Their reference to research in poor as well as rich countries is based in part on a Gallop World Poll conducted from 2006 to 2008 and discussed in their book, Happy Money: The Science of Smarter Spending. In 120 of the 136 countries surveyed, people who donated to charity in the last month reported greater satisfaction with life, even after controlling for family income. In fact, donating to charity had an effect similar to doubling family income. that the giver feels he or she is making a difference. Dunn and Norton like to use the word “investing” rather than “spending” or “giving away.” Keizer distrusts the thought of “altruism” and speaks instead of “help” – giving and receiving it. And I picked my sermon topic because I find “charity” to be a troublesome concept. All of this suggests that language is inadequate to describe what happens when one human being gives something of value to another without an expectation of clear reciprocation. There’s no question that, whatever we call it, one thing that happens generally is a sense of reward, joy, happiness for the giver. I wanted help, though, filling out that concept and looking at the other, more important question: What are the moral and spiritual implications that arise from that? For help with the question I turned to an email list I manage for the Unitarian Universalist Association on the subject of worship. Close to 500 lay worship leaders and ministers subscribe to the list and exchange ideas about worship. A few weeks ago I sent an email to the list asking for thoughts on charity. It is because of the quality and quantity of the ideas I received that this subject took on such depth and complexity for me. Some of the replies led me to discover the books and TED talks that have expanded my vision and helped me craft this sermon. Some of the emailed advice I got focused on the root of the word – the Latin noun “caritas,” derived from the adjective “carus,” which means expensive or dear. “Caritas” has come to represent love in what’s described as the Christian sense – love of and caring for one’s fellow beings. Some of the replies drew my attention to biblical passages, especially in the New Testament, that stress the importance of charity. Others pointed to the Hebrew word “tzedakah,” which represents a religious obligation to do what’s right or just. The Muslim idea of zakat is similar – the individual’s responsibility to ease the economic hardship of others and inequality in the world. 8) Giving reluctantly when asked. 7) Giving cheerfully when asked. 6) Giving before being asked. 5) Giving via a third party, so the donor is not known to the recipient. 4) Giving via a third party where the recipient is not known by the donor. 2) Giving an interest free loan. 1) Giving a job to the recipient so he or she can be self-supporting. Of course, whether we call it charity, caritas, tzadakeh or zakat, and despite my contrarian way of looking at it, in the end we do indeed have an obligation to help each other. We can’t turn our backs on the need in the world. Another TED Talk that was recommended by one of my UUA email-list-mates gave me hope that I could find a way to overcome some of the problems I see with the concept of charity. 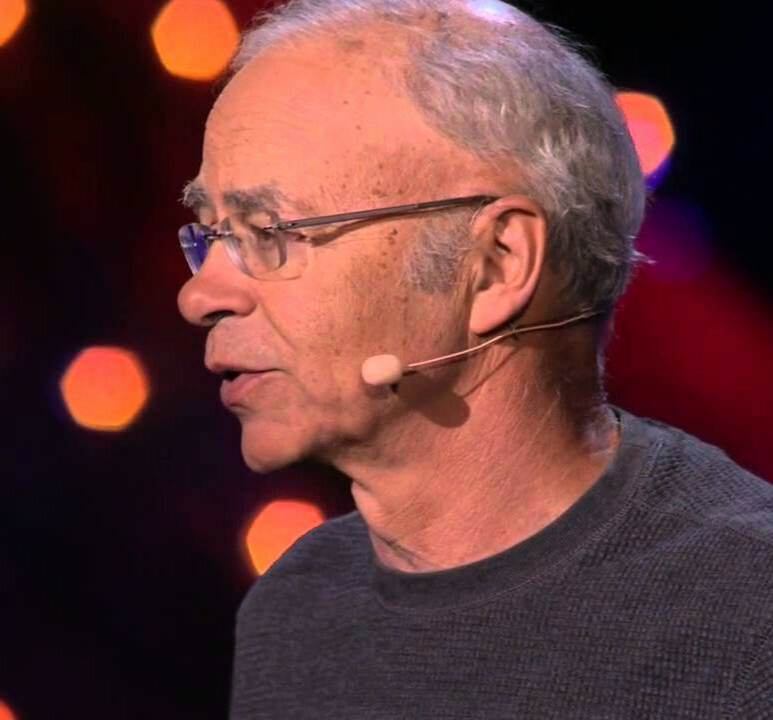 The TED Talk, by Australian philosopher Peter Singer, was about a movement called “effective altruism.” This is giving that makes use of the head as well as the heart – that uses economists, philosophers, business people, scientists to direct charitable gifts in the most effective ways. In his talk, Singer starts out with that video that many of us have seen of the 2-year-old girl in China who is run over by someone who drives away and then numerous people go by and do nothing to help her. That’s horrible, of course, but Singer goes on with the thought that, according to UNICEF, 19,000 children die every day from preventable, poverty-related diseases. “Does it really matter that they’re far away? I don’t think it does make a morally relevant difference,” he says, and we have an obligation not to walk away. Singer challenges us all to maybe give up the second one of Dunn and Norton’s conditions for getting happiness from giving – identifying with the recipient – in order to strengthen the third one: knowing that we have made a difference. On his website, thelifeyoucansave.org, he lists 10 charities [now 16] that he sees as effective in fighting the poverty and other conditions that lead to those deaths. He also mentioned a couple of other websites that evaluate charities with the kind of hard-nosed, real-world attention that’s indicative of the effective altruism movement. I’ll tell you in a few minutes about a charity that I have chosen to support from these lists. But I want to return first to the idea of identifying with the recipient of our charity. There has been a lot in the news over the last week or so about identifying with the other, so much so that it has been hard for me to concentrate on completing this sermon with all the emotions I’ve been feeling in the aftermath of the George Zimmerman trial. The Martin family, some columnists and TV commentators, and now President Obama are attempting to revive that painful conversation about race in America. Obama made clear that he identifies with Trayvon Martin. To Obama, Trayvon was not the other. I doubt that any of the white folks in this congregation would have shot Trayvon. But it’s interesting to consider how we might have seen him on that rainy night in Florida. If we were driving a neighborhood watch car, would we have seen Trayvon as just another 17-year-old, like our own? Would we have stepped into a place that might be uncomfortable for us? Would we have reacted charitably and maybe rolled down our window and asked if Trayvon was lost and needed help? I hope so, but we can honor his memory by pondering that. And while we’re at it, I want to say a charitable word about another group of people that I do very much identify with. I had the strange luck of the draw when I was in my 20s to serve on three different criminal court juries, including one in a capital murder case, for which we were sequestered, and another in an aggravated assault case where the defendant claimed self-defense. It is my experience that every juror in a serious case like that feels a personal responsibility to do the right thing, and being a juror, especially when sequestered, is intensely difficult and emotional. We may or may not agree with the Zimmerman verdict, but I’d like to recognize jury service as one of the least-appreciated forms of public service. The charity that I chose to support as a result of my exposure to effective altruism is called GiveDirectly, and it stems from research by economist Paul Niehaus in India. It takes the radical approach of simply giving poor people money, and it transfers the funds directly to them via cell phone to avoid middlemen and corruption. For a number of reasons, GiveDirectly operates in selected villages in the Rarienda District of Western Kenya. Using transparent criteria, it identifies the very poorest households in those villages. The average recipient lives on less than 65 cents a day and only 18% of eligible households report having enough food for tomorrow. The recipients get $1,000, or $200 per household member, distributed over one to two years. The recipients are never told what to do with the money, but there is a follow-up interview to assess the impact of the cash. The most common reported use of the funds is to buy a metal roof. Other uses are paying for food, education, medical expenses, or starting or expanding a business. GiveDirectly cites considerable academic research showing that cash transfers to the poor benefit children, have long-term impacts, and tend not to be abused. That’s just one example, but I gave you a few details to flesh out the sort of charity that the effective altruism movement likes. Another one mentioned a lot is the Against Malaria Foundation, which provides long-lasting, insect-treated bed nets for families in developing countries. So going back to where I started, it makes me feel good that I identified a charity and donated to it. How does the benefit to me affect the nature of the charity? I think it does in two ways. First, I have to be careful, in choosing where and how to give, that I avoid making the impact on me more important than the impact on the recipient. And, second, I have to recognize that the recipient of my charity has also given me a gift. The recipient and I are grateful to each other. I’ll close with a litany that I wrote 14 years ago to make just that point within church communities. I call it the Litany of Gratitude. After each two lines I read, please say: We thank them all. Some come here looking for solace. Some come here and give it to them. Some come here seeking music. Some come here and give it, joyfully. Some come here seeking laughter. Some come here and create it. Some come here seeking learning, growth. Some come here and provide it. Some come here looking for a sense of security, a safe haven. Some come here and provide that. Some come here seeking an escape from hectic lives. Some come here and enable them to find it. Some come here seeking the joy of community. Some come here and create that. Some come here wanting to serve. Some come here and make it possible for them.